Juergen Teller Studio, London, April 2016. Photograph by Johan Dehlin. Courtesy 6a architects. “The artist and fashion photographer Juergen Teller’s new studio is a bright spot in a nondescript part of west London. 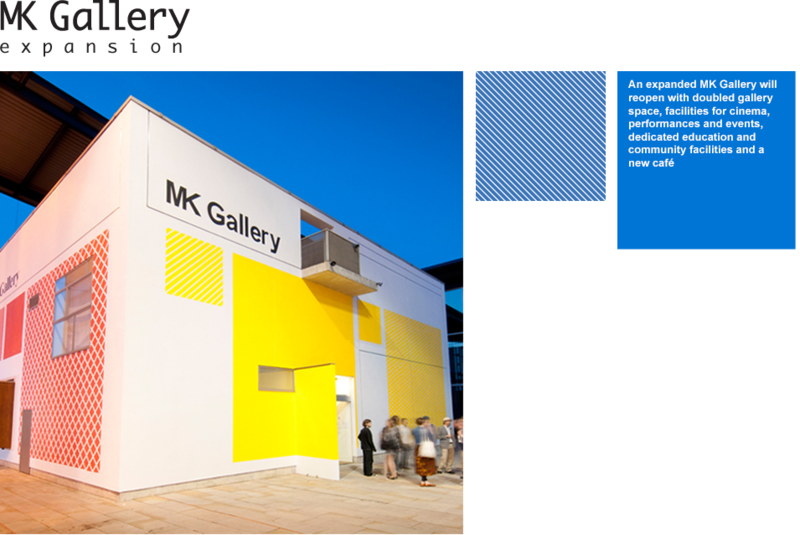 A group from MK Gallery was shown around last week by the architect, Tom Emerson of 6a architects, who is of course responsible for designing the major extension and remodelling of MK Gallery. Interestingly, a solo show by Juergen Teller, Don’t Suffer Too Much, took place in MK Gallery in 2003. The studio occupies a narrow but deep plot in a terrace. Tom explained that it is really three square buildings aligned down the length of the plot, separated by landscaped courtyards. The first contains two storeys of conservation storage and offices, the second is a spacious top-lit studio, while the third is more domestic in character. Glass doors and covered walkways down one side of the site set up a linear route from the entrance, linking all three buildings through the courtyards. A palate of in-situ concrete, plain concrete blocks, and large windows onto the courtyards gives the scheme an understated dignity, and the neutral tones that Teller required. The lack of finishing plaster and the exposed electrical conduits impart a gritty precision that challenged the builder, but result in a finely crafted place, while remnants of the historic party walls and an approach to landscaping that derives from a study of London bomb sites establish a truly London context. The tour was followed by the UK premiere of Chaises Musicales, Swiss artist and past MK Gallery exhibitor Eric Hattan’s recent performance piece with musician, composer and fellow countryman, Julian Sartorius. The event, which was held at Café OTO in Dalston, was also the UK launch of a new catalogue published by Holzwarth and MK Gallery, Works 1979-2015, surveying Hattan’s career to date. Video footage of the performance will be available to watch on our Media Channel shortly.